Movie Review: #BEAUTYANDTHEBEAST Gorgeous! - sandwichjohnfilms Movie Review: #BEAUTYANDTHEBEAST Gorgeous! To say that Disney’s live action BEAUTY AND THE BEAST movie is better than the 1991 animated classic may be a bit of a stretch. But this is as dazzling, enchanting and marvelous as today’s digital visual effects can offer you. I think despite the obvious autotune effort, Emma Watson does a good job of carrying the legacy; portraying my favorite Disney princess ever, the most gorgeous bookworm in the land, Belle. This remake basically takes everything you loved about the previous version and makes it significantly seem more jubilant, like a big broadway celebration. 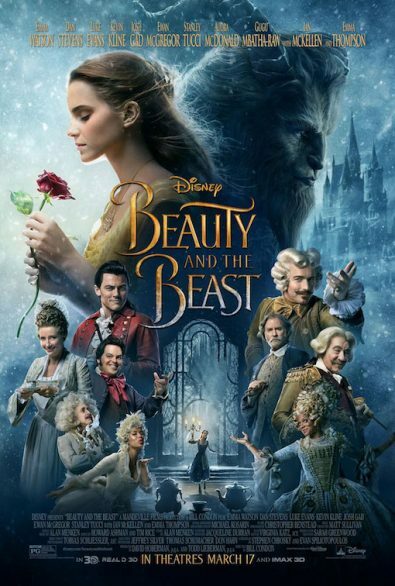 Directed by Bill Condon, based on the 1991 animated film, the screenplay for this one is written by Stephen Chbosky and Evan Spiliotopouous, BEAUTY AND THE BEAST comes to life in this cinematic journey of a bright independent young woman, Belle, who takes the place of her imprisoned father in a castle inhabited by the beast and his porcelain staff. In time, Belle befriends the staff and even the beast and can look past his hideous appearance to realize the true Prince within. All the while, Gaston, who’s set his eyes on Belle for quite some time, is determined to get her to marry him at all cost. I enjoy the new songs and the new backstories that they’ve added to the characters because they make the story all the more full. You can now understand some of the motivations a bit better because the missing pieces are there. You will now no longer be able to accuse “Beauty And The Beast” of experiencing Stockholm Syndrome. The story gets expanded and further explored, so you’ll come to appreciate the journey of how and why Belle falls in love with the Beast. And the visuals are just spectacular. They amp up the “Be Our Guest” sequence to the level that surrounds your senses. I never thought the ballroom waltz dancing scene could get more magical but the film has achieved exactly that. It’s beautiful, it’s stunning, it’s simply gorgeous. Now.. am I impressed with Emma Watson’s singing? Not quite. This is one of my concerns about this film. But that is not necessarily a bad thing. She hits the notes and whatever autotune they did on her works just fine. I understand Emma is not Paige O’Hara, I understand Emma was never known for her singing nor did she ever hit the musical circuit, so I don’t expect Emma to completely floor me. But she has the appearance of Belle and she can act and she looks the part. Unlike Russell Crowe in “Les Miserables” who couldn’t sing well and didn’t look the part. Watson’s case is more like Gerard Butler’s in “Phantom of the Opera” to give you a comparison. I personally don’t see what the big deal is about Josh Gad’s LeFou be some kind of Disney’s first gay character. I know there are some uptight parents out there who think their kids shouldn’t be exposed to such forced liberalism. Haters will hate. I think there’s nothing wrong with making LeFou gay, it does explain his fascination with Gaston but instead of changing the sexual orientation of an already established character, perhaps someday Disney could make a movie that features a gay character from the get-go. But that’s neither here nor there, LeFou is after all not the lead character here. This film ultimately is for the romantic in all of us. Overall, “Beauty And The Beast” is a great and joyous re-imagining that will take you up to cloud nine.